You have probably heard of Germany’s Black Forest and are longing to stroll under its thick canopies. But you need to add an essential component to your German holidays. The Bavarian forest, near the Danube Valley in the south-eastern part of the country, is what seems an endless expanse of unspoilt wilderness and is even more magical when explored during the wintertime. Visiting the state of Bavaria will allow you to experience breathtaking views of the Alps and access to the Bavarian forest and the neighbouring Bohemian forest. Together these two wooded areas form the largest protected forest in all of Europe. Walking through the Bavarian forest allows you the opportunity to feel like you’re completely removed from the busyness of life and from tourist infested areas. You and your companions at points may feel as if you’re the only humans given this special opportunity to interact with such a special ecosystem. Your imagination will be triggered as you gaze upon ancient branches delicately blanketed with crisp snow. At some points you will be completely surrounded by comforting forest; at other times you will arrive at an opening and be able to gaze down at a gorgeous view of a snow-clad meadow. If you happen to run into locals during your Bavarian forest journey, they will greet you with open arms and share with you the enthusiasm for the natural surroundings. When you walk on the Watzlik-Hain trail in the Bavarian National Park it will be like taking a time machine to the past as you will be surrounded by vegetation that dates back to primeval times – trees that are impossible for you to wrap your arms around. Within the Forest’s national park visitor area you will probably see signs of wildlife, such as wolf, lynx, wild boar, fox, deer, grouse, owls, woodpeckers and more. 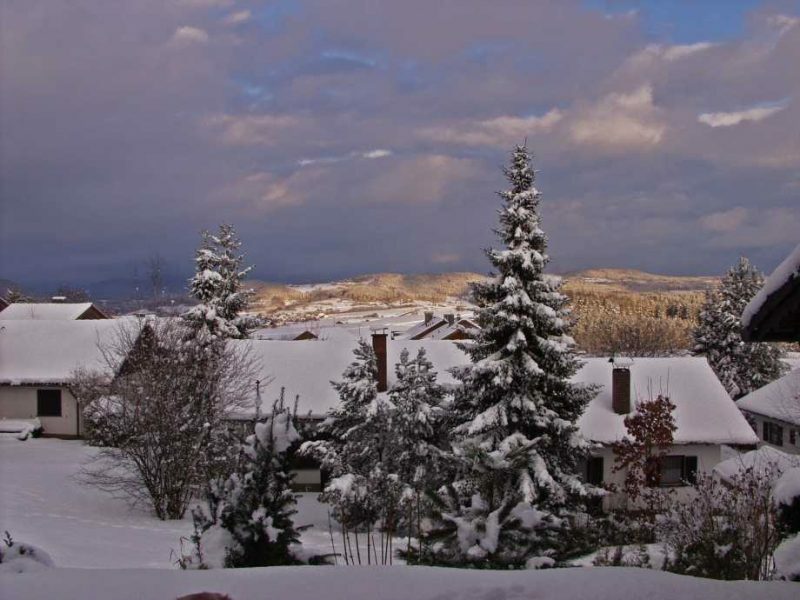 Not only is the Bavarian forest beautiful during the wintertime – wintertime is one of the best times to visit. You can walk, snowshoe or cross-country ski on the miles and miles of trails. You can even take a nice family or romantic sleigh ride throughout the forest. After your days of exploring this enchanting forest on foot, you can soak in a warm whirlpool bath at one of the area’s spa hotels, sip mulled wine in a countryside inn or stay in one of Bavaria’s mountain chalets.